Black Eyed Susans in the garden are a native flower and food source for the birds (especially Finches). 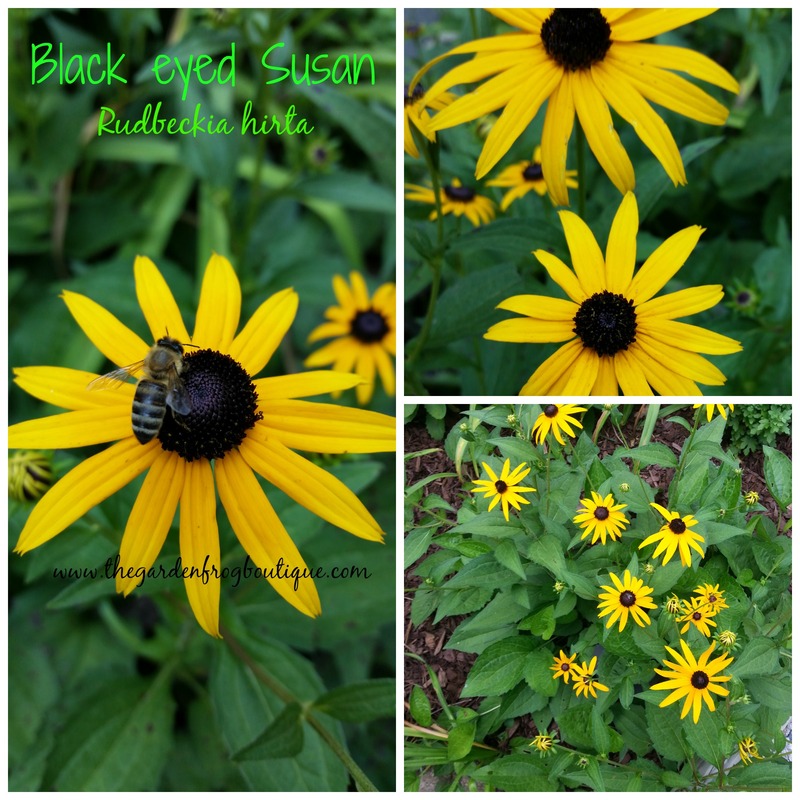 Rudbeckia hirta (Black Eyed Susan) is the easiest to grow flower I have ever found. You can start them from seed in early spring and they will bloom by seasons end. This native flower grows in zones 3-7 and loves the blazing hot sun but will tolerate and grow in dappled sunlight and even a bit of shade. 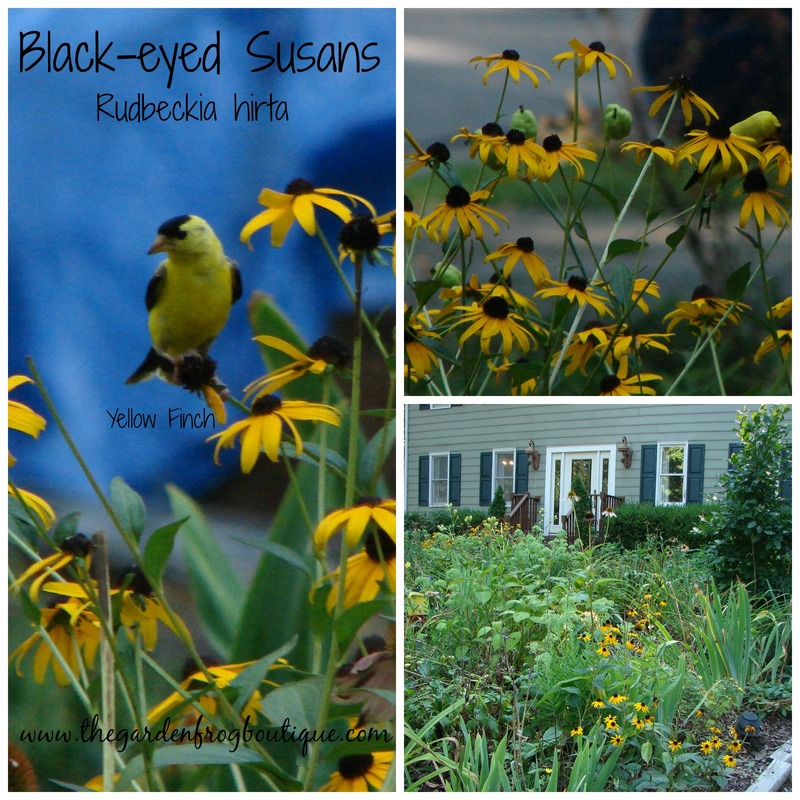 The Black Eyed Susan blooms all summer long (June-September) attracting the beautiful Yellow Finches to my gardens. This is a prolific reseeder that blooms well into fall here in zone 7. I leave the seedheads of the Black Eyed Susan standing in my garden all winter long for food for the birds. You can sow the Black Eyed Susan seeds any time- fall through spring and any seeds that drop during the summer may even start to grow and bloom later in the summer. There is no special directions to sowing the seeds- just sprinkle them where you want them to grow! There is only one downside to growing Black Eyed Susans- they will self sow which some may find a bit too invasive. However, they play well with others and mixed in with Daylilies, Coneflowers, and Salvia makes a stunning impact in the garden. A plus- you will have plants to give away to friends and neighbors so they can start attracting the birds to their gardens. Thank you for stopping by and visiting my blog. If you ever have a gardening question, feel free to contact me. 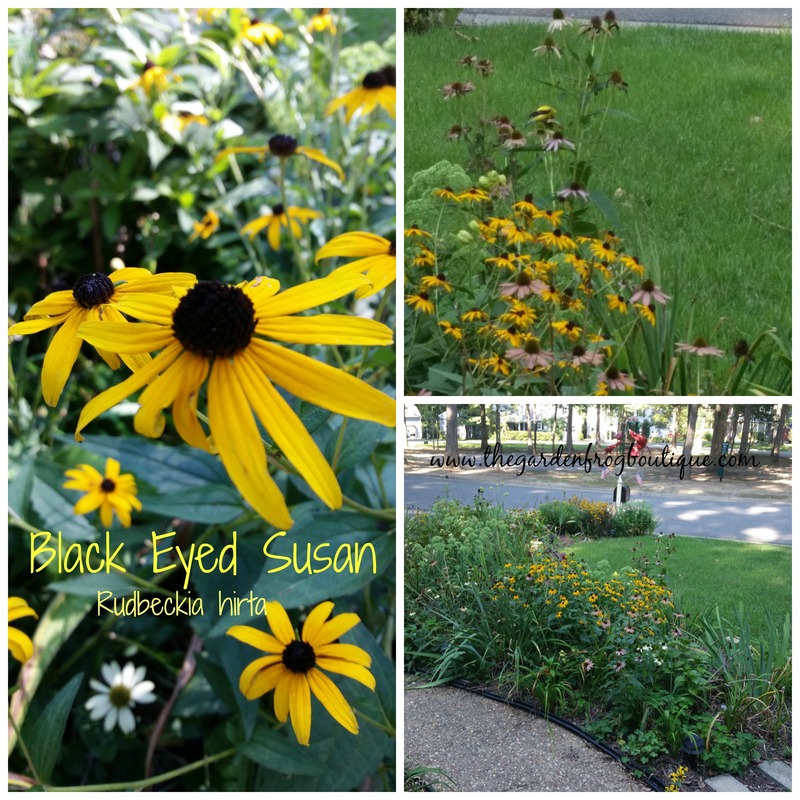 I love the bright look of Black Eyed Susan’s. I have two huge clumps of them in my front garden bed. I love them and they are everywhere!